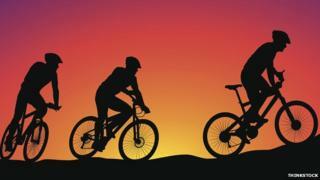 Plans have been unveiled to expand cycling facilities in the Scottish Borders with a mountain bike centre near Kelso. Cycling club Kelso Wheelers has agreed a lease with Roxburgh Estates to develop an area of Angraflats Forest. The club initially wants to create 1,000 metres of trails in the plantation along with signage. A planning application for the £60,000 scheme has been submitted to Scottish Borders Council.